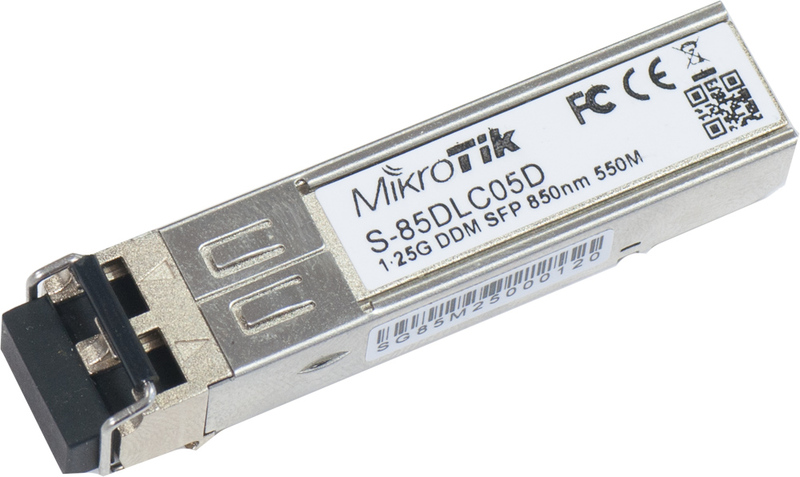 Mikrotik brand MM 850nm multi-mode fiber 1000BASE-SX Module with dual LC-type connector and DDM. Operates on standard multi-mode fiber-optic link spans of up to 1804 feet (550 m). Now with DDM support. Standard 1.25G SFP transceiver that is within the SFF Committee specifications for SFP Transceivers. Works with all Mikrotik routers and switches with SFP support.